We've created this penny stocks list of the top winners in 2016. This list can get you started on finding the best penny stocks for your portfolio. The right penny stocks can triple profits practically overnight. Investing in the right ones requires careful research that can take up a lot of precious time, especially if you don't know what to look for. No. 1 on Our Winning Penny Stocks List for 2016: Vericel Corp. (Nasdaq: VCEL) announced in March its latest clinical trial of a treatment for people who suffered heart failure due to ischemic dilated cardiomyopathy was a success. The stock rose from $3.92 to $5.18 just one day after the announcement on March 10. 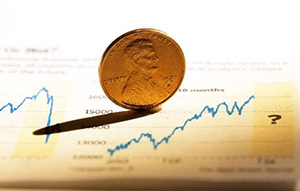 The penny stock share price continued to increase throughout the month. No. 2 on Our Winning Penny Stocks List for 2016: Curis Inc. (Nasdaq: CRIS), a biotechnology firm, develops therapeutic drugs to treat cancer. From 2014 to 2015, the company increased its research and development investment from $3.3 million to $5.9 million. This proved to be incredibly successful. While the company stock price hit a low of $1.20 a share in 2014, it rose drastically to $3.75 before leveling out at $2.50 in 2015. This year, the company is expecting it to settle around $3.10 per share. No. 3 on Our Winning Penny Stocks List for 2016: Genetic Technologies Ltd. (Nasdaq ADR: GENE) was the first company to secure patents for non-coding DNA for genetic analysis. The company manufactures women's health testing and assessment tools. In 2015, the company's stock price increased 30%, and it's expected to continue to increase due to breast cancer screening changes by the American Cancer Society. This makes it a perfect addition to our penny stocks list. No. 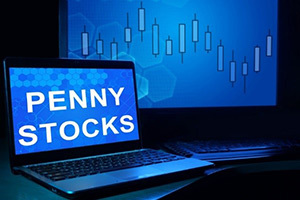 4 on Our Winning Penny Stocks List for 2016: Threshold Pharmaceuticals Inc. (Nasdaq: THLD) recently reported an incredible fourth-quarter net income gain of $69.7 million. This is after it reported a loss around this time in 2015. The stock continues to increase due to the boost. No. 5 on Our Winning Penny Stocks List 2016: Synergy Resources Corp. (NYSEMKT: SYRG) has a successful strategy of acquiring, developing, and exploring oil and gas projects in Colorado. The company has more than 55,000 developed and undeveloped acres, which is expected to contribute to increased annual profits. No. 6 on Our Winning Penny Stocks List for 2016: Avon Products Inc. (NYSE: AVP) manufactures beauty products for women and men. It operates in 60 countries. The company has seen highs of $30 a share drop all the way down to $2.50 a share. With the low price point, it's one of the top penny stocks right now since it has a market cap of more than $1 billion and offers a generous 9.02% dividend yield. No. 7 on Our Winning Penny Stocks List for 2016: Propanc Health Group Corp. (OTCMKTS: PPCH) saw a jump in stock of 380% last month after announcing it may have a lead product (PRP) that can be used to fight many cancer types. Since the hope of a cancer-fighting drug is high, PPCH is a viable option for our penny stocks list. The purpose of the penny stocks list is not for investment recommendations. It is simply identifying some of the penny stocks with the biggest gains so far this year. Before you invest, always do your own research. But we have spotted a penny stock that's not going to stay cheap for long. It has developed a game-changing technology that one struggling U.S. industry will want to devour. This opportunity is outlined here in our free report: This Penny Stock Will Double Your Money — and Save a Dying U.S. Industry.